John Markley serves as Regional CEO, Illinois, serving residents in eastern and southern Illinois through more than 30 locations, providing treatment, support and educational programs and services to individuals who have mental health and addiction disorders and specialized services for adults with intellectual and developmental disabilities. Centerstone employs over 525 staff in Illinois and serves more than 17,000 individuals annually. Under Markley’s leadership, Illinois’ operations have expanded from serving residents in southern Illinois to include western Illinois following a 2015 merger with Wellspring Resources in Alton, IL (now Centerstone). He has served on several national and statewide boards and is currently a member of several state and national associations. Markley began his behavioral health career in 1985 as a staff accountant, was promoted to Director of Financial Services, and became CEO in 2005. He received his bachelor’s in criminal justice and in accounting from Murray State University in Kentucky, and he earned his MBA from Century University in New Mexico. As CEO, Markley is responsible for the leadership and operational oversight of Centerstone’s clinical divisions, specialized services and strategic business development and fiscal accountability in Illinois. Anne Tyree, MPA, CFRE, is Regional Chief Operating Officer. In this role she oversees all operations, administrative, and support systems for 600 employees serving more than 12,000 clients annually. In prior roles Tyree served as Chief Administrative Officer and as Chief Financial Officer. She has over 20 years’ experience in strategic business planning, marketing, financial reporting and budgeting, business development, and capital project development. Tyree received her bachelor’s degree from the University of Illinois Chicago and her MPA with an emphasis on health care from American Public University. She has led a number of state and local boards and commissions, and is a Past President of the Community Behavioral Healthcare Association of Illinois. Born and raised in Chicago, She now lives in rural Jersey County in Southwestern Illinois. Dr. Mirza Baig received his MD from Kakatiya Medical College in India and completed his psychiatric residency at the Missouri Institute of Psychiatry. He is board certified in addiction medicine, psychiatry, forensic psychiatry, geriatric and administrative psychiatry, and has over 35 years of experience in psychiatric medicine. Dr. Baig has served as Medical Director for Centerstone in Illinois and its legacy organizations for nearly 15 years. Previously, he managed the forensic unit of an Illinois state operated facility for 20 years. He is an avid advocate for our clients and programs. Janette Heath is an LCPC with almost 20 years of experience at Centerstone and its legacy organizations in assessment, crisis, community-based services, counseling and administration in Illinois. She oversees clinical training, implementation of evidenced-based clinical models and measurement of clinical outcomes for clients. Health also is responsible for quality and health information management. She received her BS in Psychology with a minor in Sociology from Culver-Stockton College and her MA in Human Development Counseling with an emphasis in Community Counseling from the University of Illinois-Springfield. She is a member of Chi Sigma Iota, the National Honor Society for counseling professionals. Brianna Waller, LCPC, is the Compliance & Privacy Officer in Illinois where she administers and oversees the Compliance & Privacy programs. She assists in the development, implementation, maintenance, and revision of policies and procedures for the general operation of the Compliance & Privacy programs and their related activities in an effort to detect and correct illegal, unethical, or improper conduct or privacy violations. Waller received her BA in psychology and her MS in Rehabilitation Counseling from Southern Illinois University Carbondale. She received her LCPC in 2017. She has worked for Centerstone and its legacy organizations for a combined 9 years. Waller has completed the required intensive training necessary to achieve certification by the Health Care Compliance Association. Jean Alstat serves as Clinical Director for behavioral health, community and prevention services in the Carbondale, Marion and West Frankfort offices in Illinois. In this role she oversees a variety of services including Prevention, Early Head Start, Community Outreach, Family Services and Outpatient Services. Alstat received her MA in Educational Psychology with a specialization in Community Counseling. She has the National Counselor Certification and has worked for Centerstone and its legacy organizations for 20 years. She is a long-term resident of Jackson County. Andrea Quigley is the Clinical Director at Centerstone in Illinois. Quigley will oversee the Medication Assisted Treatment (MAT) clinic implementation and grant, and oversee customer care services and outpatient counseling services for Carbondale, Marion and West Frankfort outpatient offices, and the Bureau of Federal Prisons Halfway House. Prior to joining Centerstone, Quigley worked at Lutheran Social Services of Illinois as a master child welfare specialist from January 2009 to July 2010 and then child welfare supervisor from July 2010 to December 2015. Quigley obtained Master of Arts in psychology and doctoral degree in psychology from Southern Illinois University in Carbondale. Emily Dellamano is the Director of Quality Improvement in Illinois. In this role she provides day to day Quality Improvement oversite to programs and staff. She is also involved in ensuring that the organization is adhering to all certification, licensure and accreditation standards. Dellamano received her Masters of Social Work from Southern Illinois University- Edwardsville. She has worked for Centerstone and its legacy organizations since 2009. She was born and raised in the Alton area and resides in Madison County, IL. Kimberly A. Fleck, Human Resources Director, has worked for Centerstone and its legacy companies in Illinois for more than 30 years. Fleck has experience in support services, administration and human resources over the course of her career. She began working in Human Resources specifically in 1998 and was promoted to Director in 2012. In 2009, Fleck was certified as Professional in Human Resources (PHR), and in 2015 as a Society for Human Resource Management-Certified Professional (SHRM-CP). She is a long term resident of Franklin County. Rebecca Hudzik, LCPC has been with Centerstone and its legacy organization for over 10 years in residential, community-based, quality improvement and administration in the behavioral health field. She currently serves as a Clinical Director for Centerstone of Illinois in Alton. In this role she oversees a variety of services, including residential and community-based programming for adult individuals experiencing serious mental illness. Hudzik received her Master’s degree in Professional Counseling from Lindenwood University. Megan Klaas is Operations Director in Illinois, overseeing the grievance and Office of Inspector General (OIG) processes, statewide credentialing, health and safety functions, and the credentialing and operations support staff. Klaas supports and guides the operation team’s budgeting processes, as well as organizes and monitors the submission of state required reporting. She previously served as Credentialing System Manager at Centerstone from March 2017. Klaas plans to work toward obtaining the Certified Provider Credentialing Specialist certification. Angela Manns is Director of Medical Services in Illinois. In this role she is responsible for managing statewide psychiatric and medical resources, and the state’s Medication Assisted Treatment services for adults addicted to opiates. In addition to recruiting and supervising all Illinois nursing staff, she is very involved in recruitment and hiring of physicians and nurse practitioners for the organization. Manns received her BS in nursing from Kaplan University in Davenport, Iowa and is currently pursuing her MS in Nursing from Maryville University in St. Louis. She has worked in medical services and Medication Assisted Treatment for Centerstone and its legacy organizations for five years. Stacey Overturf serves as Director of Finance in Illinois. In this role, she oversees the organization’s fiscal operations, supervising finance and accounts receivable staff. Overturf received her BA in accounting from Southern Illinois University Carbondale. She has worked in finance for Centerstone and its legacy organizations for almost 30 years. She is a long-term resident of Franklin County. Deniece Shivers serves as the Housing and Facilities Director in Illinois. In this role, she manages the facilities and permanent housing offered by Centerstone in Alton. Shivers received her BS in Business Management from the University of Phoenix in St. Louis, MO. She also received her Assisted Housing Manager Certification for HUD housing. She has held multiple roles for Centerstone and its legacy organizations for over 19 years. Stephanie Terry is Clinical Services Director in Illinois. In this role, she oversees a variety of services including Access, Family Services and Outpatient in the Alton office. This also includes two federal grants to address the impact of substance use for adolescents, young adults and families. Terry received her Bachelor of Science in Psychology and Master of Social Work from Southern Illinois University of Edwardsville. She is a Licensed Clinical Social Worker (LCSW) and certified School Social Worker. She has worked for Centerstone and its legacy organizations for 6 years. She is a long term resident of Madison County. Chrissy Wedel serves as Director Customer Experience in Illinois. In this role she works to improve Customer Service, supervises Customer Experience Specialists, serves on an Enterprise Customer Improvement Team, works with the Customer Experience sub-group affiliated with the Board of Directors and acts as the team lead for Customer Experience in numerous special projects. Wedel has worked in the Customer Service field for almost 27 years and worked for Centerstone and its legacy organizations for more than 10 years. Elena Voigt serves as Executive Assistant to John Markley, Regional CEO, Illinois. She has been in that position since January 2015. Previously, she was Accounting Coordinator for Centerstone and its legacy organizations, where she has worked for more than 22 years. She resides with her husband in rural Southern Illinois. Abbreial "Abby" Drane has been named the Regional Chief Executive Officer, Kentucky. Previously, Drane served as the Uspiritus President and CEO of Uspiritus where she lead the treatment, outcomes, regulations, human resources, financial and advancement programs helping vulnerable children in Kentucky. Abby is an experienced leader in the behavioral health industry, with more than 25 years as a chief financial officer, having served in that capacity in two of Kentucky’s largest community mental health centers -- Seven Counties Services and Communicare. She has also served as adjunct accounting faculty for several regional universities and managed a small financial service business. Abby earned a bachelor's degree in accounting from Central Missouri State University and her MBA from Western Kentucky University. She has also held a CPA license since 1990. With a passion for helping those in need, Abby has dedicated her professional career to serving children and families across Kentucky. Abby has the faith and vision to see a better life for those struggling with mental health and substance use issues at Centerstone. Kelley Gannon is the Interim Vice President of Adult Services. She is responsible for setting the strategic direction for adult mental health services in Kentucky. Gannon has worked in the behavioral health field for over 27 years. She has extensive experience in strategic planning and implementation and proven leadership in the application of Evidence Based Practices. She has leadership skills in coordinating and promoting collaborative relationships with community providers and key stakeholders to create real collective impact and positive outcomes. She has adept knowledge for developing practice management opportunities to support the mission of behavioral health. She earned her master’s degree in social work in 1994 from the University of Kentucky and her independent licensure in 2002. Most recently she earned her MBA from the University of Louisville. Gannon is a former adjunct professor with the University of Kentucky and the University of Louisville. As Regional Chief Medical Officer, Scott Hedges works with the executive leadership team in Kentucky to ensure that the medical, nursing, laboratory and pharmacy decisions represent the best interest of the people our organization serves and the needs of the enterprise. To that end, his focus is on providing highly qualified medical professionals, state of the art medical technology and services that are compliant with Joint Commission, state and federal rules and regulations. The goal is for Centerstone to secure its place as an industry leader in the provision of medical services. Dr. Hedges joined the preceding organization to Centerstone in 1987 as a volunteer at our Crisis and Information Hotline. He took a four-year break while he attended medical school, and returned as a full time employee in 1995. He was promoted to Associate Chief Medical Officer for adult services in 1996 and then Chief Medical Officer and Senior Vice President for medical services in 2009. In addition to his role with Centerstone, Dr. Hedges is also executive faculty with the University of Louisville Department of Behavioral Health Sciences. He has been the previous Associate Hospital Director for Central State Hospital, Medical Director for Wellspring Crisis Stabilization Unit and Consulting Medical Director for Bridgehaven Mental Health Services. He is a fellow of the American Psychiatric Association and has served on the Governors Medicaid Pharmacy and Therapeutics Committee in the past. He has published many times and was recognized at the MediStar Physician of the Year in 2012. He is the immediate past president for the St. Joseph Catholic Medical Guild and is currently in seminary working toward ordination as a deacon in the Catholic Church. He received his bachelor’s in chemistry and his MD from the University of Louisville. Bonnie Thorson Young, joined Centerstone in 1987 as a Developmental Specialist. A licensed speech-language pathologist, Young has dedicated her career to helping individuals reach their potential, both as a clinician and an administrator. She has volunteered on numerous community boards during her tenure with our agency and currently serves on the Board of Directors for the Kentucky Voices for Health. A strong advocate for individuals, she is well known in the early intervention community for her efforts to help introduce and pass legislation leading to the creation of First Steps, the Kentucky Early Intervention System. Prior to joining Centerstone, Young worked in the Department of Pediatrics at the University of Louisville, was part-time faculty at U of L, and practiced as a speech-language pathologist in both Iowa and Kentucky. An avid bicyclist, she also enjoys slalom skiing in the summer and cross country skiing any time snow flies in the Commonwealth. En route to making Louisville her home in 1981, Bonnie attended undergraduate school at the University of North Dakota and earned her graduate degree at the University of Northern Iowa. Shannon White, Vice President of External Affairs, brings her passion and enthusiasm for empowering others to Centerstone. She is a non-profit executive with 18 years of experience in both public and private sector leadership roles. She is the Founder of Dress for Success Louisville, and has been the President of YPAL and served on numerous regional Board of Directors. As the owner of Shine! Consulting, White worked with a myriad of organizations, both large and small across Louisville. For the past five years, she lead The Spina Bifida Association of Kentucky as Executive Director and helped pass vital legislation supporting families across Kentucky, launched the Norton Children's Hospital multidisciplinary pediatric clinic and expanded SBAK awareness walks to five locations across the state. As VP of Quality and Health Information, Susan Rittenhouse works closely with many of the administrative areas that support Operations in Kentucky. She oversees all Quality and Data Analytics functions for the organization, as well as Health Information including project management of the electronic health record. In addition, Rittenhouse supervises all business staff in the Operations sites as well as the Utilization Management department, which is comprised of authorizations, verifications and credentialing processes. She ensures that all these processes are efficient and effective to support the Operations of the organization which includes interfacing with payers to assure contracts and codes are set up correctly. She joined Centerstone Kentucky in 1994 as a Unit Manager for one of the locations, then moving to Shared Services in 1997 as the Compliance Officer before moving to her current role. Prior to joining Centerstone, Rittenhouse served as Chemical Dependency Director, as well as Provider Relations and Quality Assurance Director for United Behavioral Systems in Louisville. She also served as Executive Director of Women’s Residential Services in Libertyville, IL. an addiction treatment center for women and their children. She received her BA in Psychology with a minor in Business Administration from DePauw University and an MS in Behavior Analysis and Therapy from Southern Illinois University. She is also a Licensed Alcohol and Drug Abuse Counselor in Kentucky. As Vice President of Child & Family Services, David Weathersby works with his teams to address the behavioral health needs of the children and families in the Kentucky service area. Currently that includes providing a wide array of services to over 12,000 children per year in seven counties and over 150 schools. Their primary focus is on helping children and families stay together, choose safety, and realize their potential in all areas possible. Weathersby has been with the organization since 1994 working in a variety of roles from accounting manager to social worker to clinical supervisor, program manager, division director and Vice President. He has been Vice President of C&F since 2008. Weathersby received his MSSW from the University of Louisville in 1994, MDiv/MEd Administration from Southern Seminary in 1989, and BA in Accounting/Finance from Georgia Southwestern in 1985. As Vice President of Addiction Services, Scott leads all clinical and financial aspects of the Addiction Services Division in Kentucky. His responsibilities include a wide range of Intensive Outpatient Programming, the Pregnant and Parenting Women’s service line, the Adolescent Addiction Recovery Center and adolescent service line as well as the 81-bed Centerstone Addiction Recovery Center (CARC) in downtown Louisville. Hesseltine is a member of the Operations Leadership Team in Kentucky where he works closely with the Division Vice Presidents to ensure cross agency support while achieving alignment with strategic initiatives. He is a member of the American Counseling Association; the Association for Addiction Professionals (NAADAC), and the Kentucky Association for Addiction Professionals. He joined Centerstone in 2015 from the Hazelden Betty Ford Foundation where he served in a variety of roles since 2005, most recently as the Corporate Director of Clinical Support & Operations. Hesseltine has been a frequent guest on radio and television and routinely presents on a variety of topics related to addiction services. He holds a BA in Psychology from George Mason University in Fairfax, VA; an MA in Addiction Counseling from the Hazelden Graduate School of Addiction Studies in Center City, MN and an MBA with a healthcare emphasis from the University of St. Thomas in Minneapolis. Jeff Felty started his career as the Compliance & Privacy Office for Centerstone in Kentucky in July of 2017. He has worked in the health and human services industry for 30 years including two years at Seven Counties Services in southern Jefferson County. In 1997 Felty began work at a for-profit company specializing in services to people with intellectual and developmental disabilities. He began working in Compliance in 2005. Felty is an integral member of Kentucky’s leadership team. He administers and oversees the Compliance & Privacy programs in Kentucky. He, along with other members of the Compliance staff, works to develop enterprise Compliance and Privacy policies, strives toward standardization of practices and procedures, and assists in developing and implementing training. Felty has a MS degree in Social Work from the University of Louisville and a MA degree in Child Development and Family Therapy from Western Kentucky University. He is licensed in Kentucky as a LCSW and LMFT, and is Certified in Healthcare Compliance (CHC) and Certified in Healthcare Privacy Compliance (CHPC) by the Health Care Compliance Association. As the Information Technology Director in Kentucky, Travis Taggart works with the enterprise Information Technology Department. He evaluates business drivers as presented by local and enterprise leadership to ensure that IT services are designed and delivered to meet regional and corporate needs. Taggart joined Centerstone in 2016 as the ITS Director for Kentucky and oversaw the IT transition of Seven Counties services into Centerstone. Prior to joining Centerstone, he served as Senior Director of Information Technology at RiverValley Behavioral Health, a sister Community Mental Health Center in Kentucky. He received his BS in Computer Science from Indiana University in 2002. 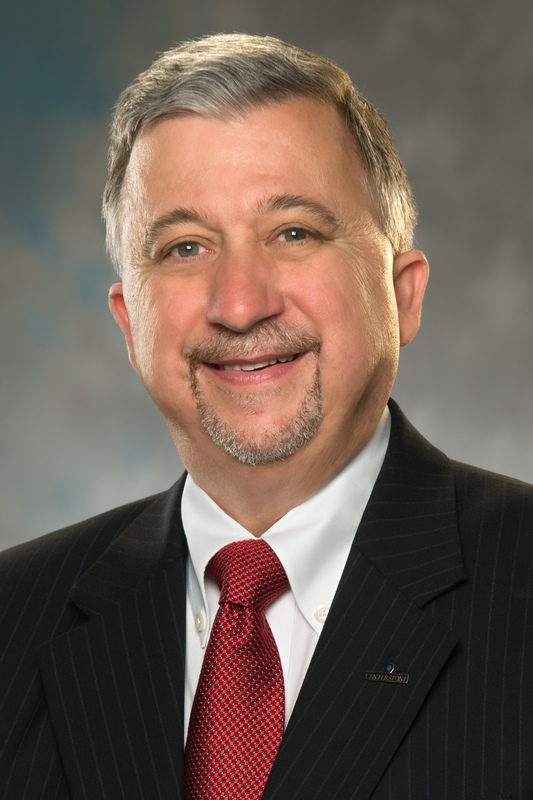 Dr. Robert “Bob” Vero serves as the Centerstone Regional CEO, Tennessee and Georgia. He has worked in behavioral health care since 1976 and is a Licensed Marital and Family Therapist, Licensed Professional Counselor and Licensed Psychological Examiner. He has also worked as a psychological consultant to the Nebraska State Highway Patrol and the Nashville Metropolitan Police Department. In 2018, he was named as co-chair to Nashville Mayor David Briley’s Community Behavioral Health and Wellness Advisory Council, which advises the Mayor in setting priorities around behavioral health, mental illness and substance use issues. Vero is a two-time recipient of the Tennessee Association of Mental Health Organization’s Volunteer Leadership Award and has served three terms as president of the organization. He received his undergraduate degree in psychology and his master’s in counseling from Creighton University in Omaha, Nebraska. Vero earned his doctorate in human development counseling from Vanderbilt University in Nashville, Tennessee. Karen Rhea serves as Chief Medical Officer for Centerstone. In this role, Dr. Rhea oversees Centerstone's medical services and ensures that Centerstone's psychiatric services are effectively integrated within programs. Dr. Rhea has been at Centerstone since 2002 and has been interested in the use of psychotropic medications in community mental health settings, integration of related physical health parameters, research relationships with academic researchers, providing evidence-supported treatments that work, and in the leadership role of psychiatrists in community behavioral healthcare. She has also been a long-time facilitator of the Vanderbilt-Centerstone collaboration around teaching, research and clinical care. Dr. Rhea received her MD with Honors from the University of North Carolina at Chapel Hill and completed her Internship and Residency in pediatrics at Vanderbilt University Medical Center. Sallie Allen is Vice President for Facility Operations and Customer Care in Tennessee. In her role, she provides leadership for the people who experience Centerstone first: our Customer Call Center and our front office professionals. She also manages the construction, expansion, maintenance and effective management for each of the Centerstone facilities throughout Tennessee. Allen brings over 20 years of experience and expertise in facility management and customer service to her position in Centerstone’s leadership team. Brad Nunn serves as Vice President of Quality Improvement in Tennessee. He obtained a PhD in Clinical Psychology from Auburn University in 1987 and has been licensed as a Clinical Psychologist in the state of Tennessee since 1988. Brad’s role involves planning for improvement in care and services. He provides feedback to management regarding whether care and services meet expectations of customers and he provides leadership and direction for the Quality Council. In addition, his department plays a significant role in the ongoing preparation for CARF accreditation. They coordinate and facilitate clinical audits and the response to such audits done by external agencies. QI also maintains primary responsibility for oversight of follow-up regarding adverse occurrences and is responsible for oversight of the coordination of clinical training in line with strategic initiatives in Tennessee. Nunn helped establish a research department at Centerstone and served as Chair of the Centerstone Institutional Review Board from 2002-2007. He has been with Centerstone since 1987. Julie Spears serves as Vice President for Financial Services. She is responsible for the general ledger and billing. Since joining Centerstone in 2009, she and her team have reduced bad debt from $3.6 million in FY09 to approximately $1 million in FY17. Net client service revenue for that same time period grew from $37 million in FY09 to $59 million in FY17. Spears is a 1993 graduate of Georgetown College, Georgetown, KY and has worked in mental health since 2001. Beth Hail serves as Regional Vice President of the central region in Tennessee, which encompasses Davidson, Wilson, Williamson and Rutherford Counties. Previously director of the Centerstone school-based services as well as child and adolescent services, she is a 23-year veteran of the organization. Hail holds a MA in social work administration from the University of Louisville and is a licensed clinical social worker. Matt Hardy is Regional Vice President for Centerstone in the northern part of Tennessee, overseeing behavioral health outpatient clinics plus case management, peer support, psychosocial and school-based therapy services among others. He joined the national not-for-profit leader in 2000 as a therapist, specializing in the treatment of adolescents and adults with severe and persistent mental illness. Additionally, Hardy is a critical incident responder, providing post-crisis aid to clients such as the National Football League and Nashville Fire Department. He also helped launch the Steven A. Cohen Military Family Clinic at Centerstone, a facility that seeks to improve the quality of life for veterans and their families. Hardy holds a PsyD in psychology from Wheaton College and is a licensed clinical psychologist. Ken Stewart serves as Regional Vice President for the southern region in Tennessee, inckluding Hamilton, Franklin, Coffee, Moore, Bedford, Lincoln, Maury, Lewis, Giles, Lawrence, Marshall, Perry, Hickman and Wayne Counties. He joined Centerstone 28 years ago. Stewart holds an MA in Psychology from East Tennessee State University, and is licensed as a senior psychological examiner. Gino DeSalvatore has more than 30 years of experience working with children, adolescents and their families, both in psychiatric hospitals, residential treatment and foster care. He is currently the Director of Residential and Academy Services. After completing his MA at Indiana University, he did post-graduate work at Harvard University, working with Eric Erickson as a research associate at the Eric Erikson Institute for Psychotherapy. DeSalvatore has authored/published a number of articles in his work in children’s mental and behavioral health including articles on working with families in residential care, juvenile fire setting, residential treatment programming and behavior management in residential care. He has also written chapters in two books, one on juvenile fire setting as well as a chapter in the newest book on Re-Education. He has served on a number of committees for the Department of Children’s Services to improve the behavioral and mental health delivery system to Tennessee’s Children and Youth. His operation was one of the first providers to help DCS implement performance based contracting in Tennessee and in the first three years of this model has not only achieved but exceeded the expectations set forth by DCS. Carol L Draper, RHIT, graduated with an AS in 1990, and obtained Registered Health Information Management Technician (RHIT) certification in 1991. She has held HIM Director positions in various Health Care settings, i.e. ; Acute Care, Home Care, Skilled Nursing Facilities, and now Behavioral Health. She is a member of American Health Information Management (AHIMA); Tennessee Health Information Management (THIMA); and American Records Management Association (ARMA). She oversees Centerstone HIM professionals. Draper is married with two children and three grandchildren and she enjoys scrapbooking, sewing and quilting. Elaine Hice has been with Centerstone since 1990. She is the Director of Customer Care for Tennessee and the Area Manager for the Southern Region of Tennessee. As Director of Customer Care, she assists with the creation, implementation and amending of computer/programming duties completed by the Support Staff. She also monitors and assists all staff with administrative billing and service failures generated through the billing process. Lacy Monday is Director of Crisis Care services in Tennessee. In her role, she oversees the Centerstone 24/7 Crisis Call Center. Monday has worked for crisis services in some capacity for over 5 years. She began her career at Centerstone as the Program Coordinator for two federal suicide prevention grants. Monday holds a MA in Social Work from the University of Tennessee and is a licensed clinical social worker. Kathy Rogers received her BA degree in Psychology from Stonehill College in North Easton, MA, and her MSSW from The University of Tennessee School of Social Work. After starting her career at Dede Wallace Center as an outpatient therapist, she worked for Miller Medical and Nashville Healthcare providing outpatient services to Prudential/PruCare members before moving into more administrative and UM roles with Columbia Healthcare Network. She began Quality Improvement work in 2000 with Magellan Behavioral Health and was hired at Centerstone in 2005. Rogers is a native New Yorker who has been in Nashville for nearly 40 years. She and her husband, Bob have two children and one grandson. Mandi Ryan is Director of Healthcare Innovation for Centerstone. She is the Health Link Administrator, which provides Health Home services by promoting whole-person care coordination, health promotion, and wellness coaching across all of the organization’s nineteen outpatient clinics throughout Tennessee. She is leading the organization’s Behavioral Episodes of Care Initiative and Integrated Care primary care partnership in four of the outpatient clinics. She also serves as the Project Director for two Substance Abuse and Mental Health Service Administration (SAMHSA) Primary and Behavioral Health Care Integration (PBHCI) grants, which provide Health Home services to adult clients in Nashville and Clarksville, resulting in improved mental and physical health outcomes. Under her leadership, Centerstone became one of the first providers to receive accreditation from the Commission on Accreditation of Rehabilitation Facilities (CARF) as a Behavioral Health Home for children and adults in May 2015 in four of the organization’s outpatient clinic and in May 2016, received Health Home accreditation in all of the organization’s nineteen outpatient clinics throughout Tennessee. Ryan has over fifteen years of experience in nursing, behavioral health, primary care and integrated services. She received her BS in Nursing in Leadership and Administration from Walden University and her BS in Biology from Ouachita University. She enjoys spending time with her family and reading. Phyllis Viltz is the Director of Special Projects. She has been with Centerstone for more than 20 years and has been in her current position since 2014. As Director of Special Projects, she oversees several Federal, State and local government grants. Among these are the U.S. Dept. of Veteran Affair’s Supportive Services for Veteran Families; the U.S. Dept. of Labor Re-Entry Services for Young Adults, the TN Dept. of Mental Health and Substance Abuse Services Criminal Justice Liaison, Targeted Transitional and Community Targeted Transitional grants. Viltz graduated from the University of Tennessee, Knoxville and Tennessee State University, and holds a Master of Science in Guidance and Counseling. She is licensed by the State of TN as a Senior Psychological Examiner. She is a member of NAMI TN and the American Psychological Association. Scott Valentine joined Centerstone in 1998. In his role as Compliance & Privacy Officer, he is responsible for the administration, implementation and management of Centerstone Tennessee’s Compliance and Privacy programs. Valentine is considered a subject expert on healthcare privacy and is a valued member of the compliance staff. He also serves as Title VI Coordinator for Tennessee. Valentine is a graduate of the University of Tennessee Health Science Center with a BS degree in Health Information Management. He holds certification as a Registered Health Information Administrator (RHIA) from the American Health Information Management Association, and certifications in Health Care Privacy (CHCP) and Health Care Compliance (CHC) from the Health Care Compliance Association. Ashley Newton, MPS, PMP is Chief Operating Officer for Centerstone’s Research Institute and Vice President of Center for Clinical Excellence. Ashley joined Centerstone in 2006 and has held both clinical and leadership roles. In 2017, she was named Vice President for Center for Clinical Excellence, leading all the clinical transformation efforts including identification, development, implementation and evolution activities in three separate areas: clinical models, processes and pathways. In her current role, Ashley continues to work closely with strategic business units to implement high value treatment in the context of the local environments. Within CCE and the Research Institute, she will oversee the team’s operations management and collaboration. Newton holds a BA in psychology and an MA in professional studies and strategic leadership from Middle Tennessee State University. she is a certified ACRA-ACC clinical supervisor and a Project Management Professional (PMP), the highest certification for project management. Lockman manages the Research Institute’s clinical research projects, serve as a liaison with external researchers and assess the best methods for measuring clinical outcomes. Lockman joined Centerstone in 2007 and has extensive grant experience, having served as the principal investigator of two Garrett Lee Smith Suicide Prevention Grants and two National Strategies for Suicide Prevention grants (funded by SAMHSA). She earned her PhD in counseling psychology from Purdue University, West Lafayette, Ind. and her MS in professional counseling from Lipscomb University. She has published in professional journals and speaks regularly at national conferences focusing on suicide prevention and translational science. Kathryn Mathes is the Vice President of Research & Evaluation. She has been with the Research Institute since 2007 and has functioned in the roles of Senior Program Evaluator, Director of Evaluation and since 2012, VP of Research & Evaluation. In this role, she provides leadership, management, supervision, and oversight for all program evaluations and clinical research protocols and is part of the Centerstone Research Institute Leadership Team. Mathes leads all activities associated with Centerstone Clinical Model evaluation with a particular interest in designing evaluation systems and protocols that help to evolve clinical models, inform clinical decision making, provide insight into progress made toward desired client outcomes and improves the implementation process. She has expertise in qualitative and mixed-methods evaluation designs that are gender-responsive, participatory and utilization focused. Mathes earned a PhD from Cornell University’s Department of Human Service Studies, majoring in Program Evaluation and Health Care Administration, she holds a MS in Community Health and Nursing Education, a BS in Nursing and a Pediatric Nurse Practitioner Certification. Over her 36-year work history she has served active duty in the US Army Nurse Corp; worked as a floor nurse; a pediatric nurse practitioner; a community health nurse; a nursing faculty member, and she owned/operated an evaluation consulting firm, BECS, Inc. She is a member of the American Evaluation Association where she is active in the Feminist Issues in Evaluation, Program Theory, Mental Health Services and Diversity Topical Interest Groups. She won the 2014 Centerstone Research Institute CEO Appreciation Award for Outstanding Performance & Commitment and the 2015 Howard T. McClung Award for Excellence in Leadership. In 2018, Mathes completed her Executive Leadership Certification from Cornell University. Frank Stevens is the Vice President of Clinical Informatics. He has been with the organization since 1995. He ensures that electronic systems support the provision and review of clinical care. He trained as a researcher and a clinician, graduated from the Ohio State University with a PhD in Psychology and is clinically licensed in Indiana. He is trained in process improvement. He is a member of the American Psychological Association and Health Information Management Systems Society. Armstrong currently serves on the Standards, Training and Practice Committee for the National Suicide Prevention Lifeline, is a Board Member for the National Association of Crisis Organization Directors, and was named a 2016 "Healthcare Hero" by the Nashville Business Journal. Roy Axelson is Centerstone’s Vice President for Revenue Cycle. He previously was Vice President for Revenue Cycle for one of the nation’s largest physician specialty provider organizations. Prior to that, he spent more than ten years at St. Vincent Health in Indianapolis and at the corporate parent Ascension Health where his final role was national leader for physician revenue cycle operations. In addition to this, he spent 15 years with IDX Systems Corp (later absorbed by GE) as an implementation specialist for their revenue cycle products. As Vice President of Systems Development, Brad Bills focuses on software development for the various EHRs and business systems used throughout Centerstone. His teams include business analysis, software development, and configuration management. Bills joined Centerstone in 2011 as the Manager of Application Development to lead CenterNet development and assist with the implementation of myAvatar, Centerstone’s enterprise EHR platform replacing legacy systems across existing business units and incoming affiliates. After being promoted to VP, he took over responsibility for the design of all software including business systems. As Centerstone grows, he is responsible for ensuring that the software developed and implemented is meeting enterprise objectives and providing the value needed. Bills has been working in IT since 2000 with the majority of that time in the behavioral healthcare space. Prior to joining Centerstone he spent 8 years at Qualifacts where he developed EHR software, implemented multiple EHRs, and architected the enterprise version of their current EHR. Bills earned his BS in Computer Science from the University of Memphis. Larry Croney joined Centerstone in 2015. He is responsible for analytics, reporting and data warehousing across Centerstone and its affiliates and partners. As analytical needs are always evolving, he is focused on ensuring Centerstone has the right analysts, platforms and tools in place to make the best use of its significant data assets — both to optimize the operations of today and to plan intelligently for tomorrow. Croney has been working with data and analytics since 2000, with the majority of that time spent in the health care provider space. Prior to joining Centerstone, he spent ten years at Hospital Corporation of America (HCA), building and managing data warehouses, reporting and business intelligence tools across its hospital, physician practice and revenue cycle operations. At HCA, he learned the value of a stable data and systems foundation while operating at scale in healthcare. Croney has an MBA from Tennessee Tech and earned his BS in Management Information Systems at Auburn University. He loves spending time with his family, and enjoys playing the drums, listening to music and running. Jason Turi is a registered nurse and public health practitioner specializing in healthcare delivery for complex, vulnerable, and marginalized populations. As Vice President of Population Health and Clinical Integration, heprovides leadership and expertise for population health management initiatives, complex care innovation, integrated primary and behavioral health services, health home, and value-based care readiness. Prior to Centerstone, Turi served at New York City Health + Hospitals, the largest municipal health system in the nation, as Associate Executive Director of the Health Home program. Additionally, he worked at the health system’s Accountable Care Organization as Senior Director for Innovation Strategies. Prior to that, he was Associate Clinical Director at the Camden Coalition of Healthcare Providers in Camden, NJ. Earlier in his career, he worked at Pathways To Housing NYC as a registered nurse care manager on their Assertive Community Treatment and Housing First team in Central Brooklyn. Turi has bachelor degrees in nursing from William Paterson University and English literature from Union College and received a master’s degree in public health, with an international health concentration, from the Boston University School of Public Health. Melanie Adkins joined Centerstone in 2016 as the Senior Director of Payer Contracting & Strategy for Centerstone. She offers day-to-day support of all contracting and managed care initiatives. This includes developing and maintaining client relations within the managed care industry and health care payer organizations. Adkins has been instrumental in Payer negotiations across all Centerstone locations. She has been able to increase revenues for our services and get Centerstone’s new services contracted in order to realize revenue from those services. Adkins has also aided in contracting initiatives for Centerstone Military Services as well as a number of national agreements. She has also been part of Centerstone’s initiative to engage Payers in Value Based Care contracting arrangements. She brings 18 years of managed care contracting experience. She has worked for a number of Payers contracting for Medicaid, Medicare, EAP and Commercial lines of business. She also spent 8 years as a consultant helping Health Plans move into new markets and build provider networks. Jane Bolin is the Director of the Centerstone Customer Engagement Center, a single-point of access for all Centerstone consumers. As a central hub for all client-related communication, the Customer Engagement Center is equipped to receive, respond and refer clients to our services throughout Centerstone’s national footprint. She and her Customer Engagement Center team support Centerstone’s goal to lead health care in providing a superior customer experience known for convenience and hospitality. As a mental health professional, customer service and communication enthusiast, Bolin has over 15 years of experience in mental health and person-centered services. She joined the Centerstone family in 2008 working for Centerstone Tennessee. She was the Program Coordinator for Crisis Care Services where she oversaw the daily operations of the crisis call center program and call team staff. She is a member of the National Association of Crisis Center Directors, Contact USA, and holds certification with the American Association of Suicideology. She earned her Master’s degree from Richmont Graduate University in Atlanta, GA.
Bolin is married to her college sweetheart and the couple have two active boys. The family loves living in Nashville and spending time outdoors in the many local parks and beautiful Middle Tennessee. Trenay Bynum is an award-winning writer and community advocate who holds a BA in Mass Communications from Tennessee State University and an MA in Public Service Management from Cumberland University. She has worked in the field of marketing communications for over two decades. She previously served as Research Communications Manager Centerstone Research Institute and, in a prior role, served as the Website and Communications Director for the Tennessee Alliance for Legal Services. Bynum is the author of two books, A Pictorial Journey of the Scarritt-Bennett Center: Celebrating Eight Years of Cultural Differences and Triumph! The Beautiful Face of Courage. Currently, she is a Girl Scouts of Middle Tennessee troop leader and the chair of the Children and Youth Ministry at Living Word Community Church. She is a recipient of the Journalism Achievement Award from the Society of Professional Journalists and the Spirit of Women Award (Community Service Division) presented by the Women’s Hospital at Centennial for her work with Figures of Nashville. She has been featured in Tennessean’s woman section, Nashville Business, Nashville Lifestyles Most Beautiful People, the Tennessee Tribune, Contempora magazine, among others Lifetime Television Network. Paul Harmelin is the Director for Learning and Organizational Development for the enterprise. In this role, he supports all states in enterprise initiatives to strengthen Centerstone culture and organizational effectiveness. Harmelin leads a team that offers onboarding support, leadership and clinical education through in-person facilitation and Relias online education. Partnering with our states, he is responsible for rolling out the annual engagement survey and assessing learning and training needs. Harmelin joined Centerstone’s business unit in Kentucky in 2017 before joining the enterprise in 2018. Prior to working at Centerstone, Paul served KentuckyOne Health, a 26-hospital facility in Kentucky with over 13,000 employees, as the Lead LMS Administrator, e-learning designer, and leadership facilitator. Before moving to Louisville in 2014, he was the director of a team development program at the University of North Carolina at Greensboro. He has over 10 years of experience as a team and leadership development facilitator providing workshops for businesses, faculty and staff, as well as student organizations. Harmelin earned in BS in Environmental and Business from Rutgers University, an MS in Recreation and Sport Science from Ohio University, and his MBA from University of Louisville. As the Director of Business & Services Development, Amy McDaniel works at the enterprise level and across departments to include clinical care units, marketing, IT, grants administration, and finance to build technology, designed to serve a multiple populations and scale to the Centerstone enterprise. McDaniel is currently responsible for all aspects of the Centerstone Care App, a mobile application designed to further deliver care to clients across the five-state service area. Over the past 15 years, McDaniel has worked on large-scale, national technology projects to include Guidestar.org in conjunction with multiple community foundations located across the United States and in the Nashville area at The Community Foundation of Middle Tennessee as the Director of GivingMatters.com. She developed an online database of nonprofits and arts organizations and worked with a team to develop innovative charitable donation software platforms. McDaniel gained substantial experience in the social services in the Chicago area by working with The Field Foundation of Illinois, Alternatives Youth Development and in the Chicago Public School system. Through these endeavors she gained valuable experience in organizational infrastructure management, IT, operations, project management, finance and accounting, marketing and strategic planning. McDaniel earned a MA in Community Health and Urban Development from the Jane Addams School of Social Work at the University of Illinois, Chicago. Brian Overton is the Director of Project Management and leads a team of project managers who ensure that enterprise initiatives progress according to accepted best practice project management principles. By working with stakeholders to clearly identify expectations, risks, dependencies and responsibilities, the Project Management Office is able to help Centerstone carefully manage resources and outcomes. In addition to his work on project execution, Overton is focused on portfolio management, resource management, strategic planning and quality improvement. He has a BS in Mechanical Engineering from Duke University, and upon graduation, served as a Supply Officer on the USS Ponce in the United States Navy. Following his military service he attended the Kenan-Flagler School of Business at the University of North Carolina at Chapel Hill, where he was selected as a Jenrette Fellow and received an MBA. Overton’s first experience in the healthcare industry then came at Emdeon, where he led the Enrollment Department through the implementation of new HIPAA regulations. He joined Centerstone in 2015 after holding a variety of Project Management and Operations roles at companies such as Dell, Amazon, and Asurion. Chuck Pegg, who has more than 20 years of industry experience at Centerstone, is responsible for helping to oversee the overall technology infrastructure, including the company’s servers, network and hardware for security. Pegg holds an associate degree in Communication Electronics from Ivy Tech Community College-Richmond, IN. Eric Stein is the Director of Business Applications for Centerstone. In this role, he oversees all of the enterprise business systems, such as the financial, payroll and human resources software. His responsibilities include the integration of all the business systems between five states. He oversees a team of staff who focuses on gathering business requirements for new software and business systems. Stein brings more than 25 years of experience working in information technology in a wide range of job experiences. He served as Information Technology Manager for Quinco Behavioral Health Systems in Columbus, Indiana prior to their merging with Centerstone in 2009. Stein began his career at Quinco in the finance department where he was integral in designing a new financial and budgeting system. He has a Bachelor of Science degree in Accounting from Ball State University in Muncie, Indiana, and a minor in computer science. Nikki Tumey is Director of Enterprise Analysis for Centerstone. She and her team ensure that Centerstone's operations have the information they need, when they need it, to support clinicians and to assist state leaders in making good data driven business decisions. She leads a highly distributed team, with skilled analysts based in every Centerstone state. Tumey has been with Centerstone companies for most of her 29 year career, starting with Quinco Behavioral Health Systems in Indiana. Today as part of the Centerstone of America leadership team, she is able to use her extensive experience in billing, business operations, reporting, and process improvement to help streamline processes and information flow across all of Centerstone. Tumey earned her Associates Degree in Accounting from Indiana Business College. She also holds a Black Belt in Lean Six Sigma process improvement. She enjoys spending time with her family and reading. Karen Keene is the Security Officer for the Centerstone enterprise and is responsible for the operational and regulatory security of information technology (IT) throughout Centerstone. Keene is charged with the development, implementation and monitoring of security policies, procedures and technical means in order to maintain the confidentiality, integrity, and availability of information in Centerstone’s electronic information systems. Throughout her tenure she has been instrumental in helping Centerstone implement new technologies while ensuring that the organization is compliant with federal and state regulations. Keene’s institutional knowledge of Centerstone’s IT system is invaluable. Keene is involved in the daily operations of Centerstone’ IT system and is a key member of the compliance staff. She has been employed by Centerstone since 1984. She is a graduate of Western Kentucky University with a BS degree in information systems. As Administrative Chief of Staff, Gwen Watts provides executive support to CEO David Guth, facilitates all board meetings and serves as the liaison for the organization’s boards of directors including maintenance to the board website. Gwen works closely with the executive team to ensure that projects are completed in a timely manner and that all details are carried through. All of Centerstone’s CEOs work closely with Gwen to coordinate all enterprise-wide projects. She also works with Centerstone’s lawyers and transition teams. Gwen orchestrates all of Centerstone’s board meetings and aids the All Boards Executive Committee in planning the board conferences and board leadership summits. Working closely with CFO Steve Holman and COO Barry Hale, she organizes audit teams, affiliations, and due diligence projects. Gwen often serves as the organization’s de facto historian, having served in various key positions at Centerstone for more than 25 years. She graduated from Lipscomb University with a degree in Social Work. As Chief Operating Officer, Norton provides day-to-day leadership and management to Centerstone’s regional CEOs to ensure Centerstone grows and maintains operational excellence. He is responsible for spearheading the development of Centerstone, including the communication and implementation of effective growth strategies and measuring the effectiveness of all internal and external processes. Norton joined Centerstone in 2018, and brings 25 years of experience in behavioral health care, having begun his career as a therapist. Prior to joining Centerstone, he served as chief executive officer for Lahey Health Behavioral Services, a $105 million behavioral health subsidiary of $2 billion dollar not-for-profit health system. Prior to that, he worked as chief executive officer of Northeast Behavioral Health, Inc. and led the integration of their organization, a $20 million substance abuse treatment agency, into Lahey. This integration involved restructuring with a focus on quality of care and financial viability. Norton has also held executive leadership positions at CAB Health and Recovery Services, Inc. He received a Bachelor of Arts in psychology from SUNY at Fredonia, a Master of Science in counseling psychology from Salem State University in Salem, Mass., and a Master of Business Administration from Suffolk University in Boston, Mass. He has served as a board member for the National Council for Behavioral Health, the Association for Behavioral Health and the Robert Wood Johnson Foundation. Steve Holman is the Chief Financial Officer of Centerstone, the nation’s largest community based behavioral healthcare provider. In this role he directs fiscal operations for all of Centerstone’s companies (including Tennessee, Indiana, Illinois, Florida and Kentucky), assesses the organization’s performance, oversees financial reporting and analysis, and develops annual budgets and long-term financial strategies. Steve brings more than 30 years of financial and management experience in a wide range of healthcare settings. Prior to joining Centerstone in 2013, he served as a founder and CFO for Precedent Health, Inc., a health care company based in Nashville, TN that worked with providers and payers to manage accountable care organizations and bundled payment programs. His experience includes mergers and acquisitions, equity and debt financings and providing quality reporting programs. Previously, Steve worked at Heritage Health Systems/Universal American Corp. (UAM) where he was CFO for the multi-state Medicare Advantage HMO division. He was an initial member of the Heritage management team which founded physician IPAs and HMOs that were focused on aligning the incentives of providers in gain-sharing models. While CFO of the HMO division of UAM, revenues grew from $120 million to $750 million. Steve also has held executive management positions in finance at Lakeside Community Health, FHP International Corporation and Deloitte & Touche where he was a partner in charge of the Los Angeles office health care audit practice. He has a bachelor’s degree in business administration from the University of Southern California, Marshall School of Business. Debbie Cagle Wells is well-known and respected in the health care marketing, behavioral health and managed care industries, with more than 20 years of experience in the field. She has worked at Centerstone in a variety of roles for more than ten years, including executive leadership for Advantage Behavioral Health, a behavioral health managed care company; Centerstone Military Services, which provides programs and services to veterans and their families; and Centerstone Health Partners, which recently established integrated care clinics for clients with physical and behavioral healthcare needs. Today, she leads marketing and business development for Centerstone, creating and driving business strategy for revenue growth and market share. This includes strategy and oversight of payer relations and contracting, referral marketing, grant writing, branding and communication. Prior to joining Centerstone, Debbie served as Chief Operating Officer of ValueOptions of Tennessee; Vice President of AdvoCare of Tennessee, a subsidiary of Magellan Health Services, and she has directed behavioral health managed care services contracting for HCA, Inc. and Vanderbilt University Medical Center. Cagle Wells graduated from Texas Woman’s University with a bachelor’s degree, dually certified in special education, mental retardation/ learning disabilities and in elementary education. As Chief Administrative Officer, Wayne Easterwood leads administrative and support teams for Centerstone, the nation’s largest community-based behavioral healthcare organization. His teams include technology, technical infrastructure, business intelligence, data analytics, human resources, and project management. The work involves planning, implementation and support of innovations as well as ongoing operations across the five-state organization. While often leveraging technology for improvement, the focus is always on improving the delivery of care. Wayne was the architect of Centerstone’s first electronic health record in 2001 which was among the very first in the nation for behavioral health. He holds a bachelor’s degree in business administration from Belmont University. Easterwood is the father of three sons, all of whom are way too actively involved in social media for his liking. Dan Smith is Chief Human Resources Officer for Centerstone. In this role, he has responsibility for all aspects of human resources with emphasis on developing and maintaining a positive employee culture that promotes employee engagement and world class client care. Dan oversees important aspects of the organization’s operations such as employee recruitment, benefits administration, developing and implementing human resources policies and ensuring that Centerstone complies with regulations such as Equal Employment Opportunity (EEO) and the Americans with Disabilities Act (ADA). Dan’s career in human resources spans nearly 20 years with organizations such as Getty Oil, Mobil Oil and Humana. Prior to Centerstone, Dan served as Vice President for Human Resources at Seven Counties Services, a not-for-profit community behavioral health organization based in Louisville. When Seven Counties Services affiliated with Centerstone in 2016, he was appointed Chief Human Resources Officer for Centerstone. Smith is a graduate of the School of Industrial and Labor Relations at Cornell University. He has earned the professional designation of Senior Professional – Human Resources and is a member of the Society of Human Resources Management. He has served on the Board of Stop Child Abuse and Neglect and held local and regional leadership positions with Boy Scouts of America and several youth athletic and development organizations. Sherry Harrison is the Chief Compliance Officer for the Centerstone enterprise and has worked in health care compliance for nearly a decade. She is certified in Healthcare Compliance, (CHC), Healthcare Privacy Compliance (CHPC) and Healthcare Research Compliance (CHRC) through the HealthCare Compliance Association. Sherry reports to the Chief Financial Officer of Centerstone and is accountable to the Centerstone of America Board of Directors. She administers and oversees the Centerstone Compliance Program which includes privacy and security. The Compliance/Privacy Officers in the various states, as well as the regulatory security officer, report to her. Under Sherry’s direction, the Compliance staff work to detect and prevent improper conduct and to promote adherence to the organization’s legal and ethical obligations. Minimizing Centerstone’s financial and reputational risk is the primary focus of the Compliance department. Centerstone’s Compliance policies include the seven elements of an effective compliance program as specified by the Office of Inspector General. Prior to joining Centerstone, Sherry had an extensive career in Tennessee State Government. Her career spanned more than 30 years and included leadership positions in the Tennessee Department of Human Services, the TennCare Bureau and the Tennessee Department of Mental Health and Substance Abuse Services. Sherry graduated from the University of Tennessee in Knoxville with a bachelor’s degree in liberal arts and a master’s in social work.